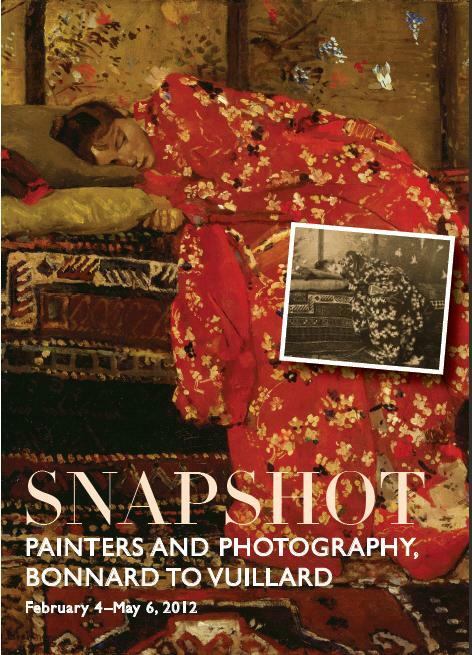 The ‘Snapshot’ exhibition shows the experimentation of seven post-impressionist painters as they discovered photography. Works are by Nabis artists such as Pierre Bonnard, Édouard Vuillard, Maurice Denis and Félix Vallotton and their contemporaries Henri Rivière, George Hendrik Breitner and Henri Evenepoel. These painters, who represented scenes of everyday life, turned to using the camera to immortalize such moments by another means. The style which Kodak called « the photographic instant » was born. Today we know it as the « snapshot ». By analyzing the work of a number of artists who had turned towards an aesthetic based on the subject, composition and use of a camera, this exhibition highlights the fascinating relationship between photography and art. Evenepoel’s Charles au jersey rayé (Charles in the striped jersey), loaned by the King Baudouin Foundation, occupies a key place in this exhibition. The portrait is first of all one of the masterpieces, shown here amidst a vast international context. The painting also wonderfully incarnates the link between art and photography, since Henri Evenepoel had indeed photographed Charles in his striped jersey before immortalizing him in paint. The Heritage Fund was able to acquire this work thanks to a donation from Anne and André Leysen.